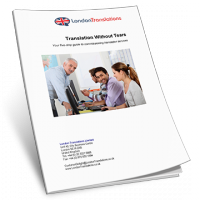 Thank you very much for the extremely fast turn-around time for the translation of our technical manual. Our Swedish agent has just checked through the translation and he said it is excellent. 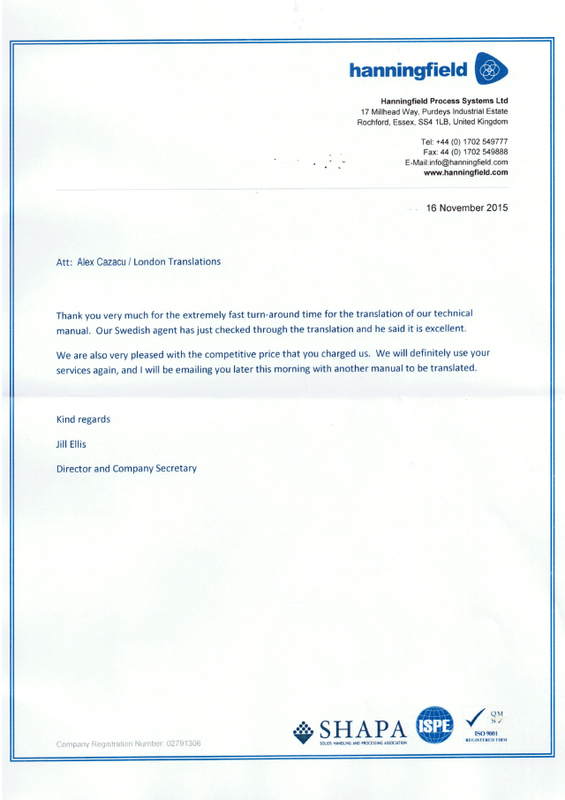 We are also very pleased with the competitive price that you charged us. We will definitely use your services again, and I will be emailing you later this morning with another manual to be translated.